As funding is phased out for some technologies and increased for others, here’s how you can get more of what you need. Now that the FCC has adopted the E-rate Modernization Order, you may be wondering what it means for your district and what you should do to prepare. While there is no substitute for reading the 176-page order, you can read the FCC’s official summary of the order, which comes in at a much more manageable 10 pages, here. No matter which reading assignment you choose, there are a few high-level things you can expect as you plan for upgrading broadband and WiFi connections over the next five years. The order sets a target of providing $1 billion annually for internal connections. This category includes basic maintenance, managed WiFi and caching. There are many details here, but the overall intent is to provide some internal connection support for every district once every five years. The order sets a target of providing $1 billion annually for internal connections. This category includes basic maintenance, managed WiFi, caching and other similar services. As has been the case since the beginning of the E-rate, applicants will continue to pay a percentage of the costs of the E-rate service (called the contribution rate), and the size of that percentage will be based on the poverty level of the population your school serves and whether it is located in a rural or urban area. For broadband connectivity to schools, now termed category one, the minimum contribution rate remains at 10 percent. For internal connections (category two) the minimum contribution rate for schools is 15 percent. The hope is that increasing schools’ minimum contribution will spread available funds more widely and encourage applicants to find the most cost-effective solutions to because they are paying a little more. A second intent for the way internal connections are handled is to make budgeting for these service more predictable by establishing a specific, per-student amount — $150 pre-discount — over a five-year period. Applications for internal connection funding must be made on a school-by-school basis, which allows districts the flexibility to apply for part of the funds one year and part the next. The discount rate for voice services will be reduced by 20 percentage points every funding year beginning in funding year 2015, which starts July 1, 2015. Paging, e-mail and other similar services will not be eligible for any support at all beginning in the 2015 funding year. USAC will be required to make information regarding services and equipment purchased by schools and libraries public. The hope is that this information will help schools and libraries negotiate lower prices when they see the pricing others are getting. The order encourages bulk purchasing and purchases made through consortia by prioritizing review of consortia applications and possibly exempting preferred master contracts from filing an FCC Form 470. These details won’t be known until USAC figures out all the procedures, but you can count on a streamlined application for multiyear contracts, electronic filing of documents over the next three years and simplified discount rate calculations. Exactly how all this will be handled administratively is yet to be seen. The state E-rate coordinators are scheduled to have a training session with USAC and the FCC late in September, and they will begin to disseminate what they learned in that session some time later in the fall. In the meantime, there is much you can do, some of which is time-sensitive. Here are the top five actions you can take to prepare for implementation of the modernized E-rate. 1) Check out your network. If you haven’t already, you need to look closely at all aspects of your connection to the Internet, and you should do so at different times of the day. Peak times such as the start of classes are especially crucial. It also is important to check the network throughput at different points as data passes into the district, among buildings and within buildings. Each of these connections can be a choke point. In the context of the modernized E-rate, with its additional money for WiFi, having this data will help you in planning for what you need, applying for E-rate funds, and monitoring when you will need more bandwidth as use increases over the years. 2) Check with your curriculum and assessment people. Are there new textbook adoptions on the horizon? If so, do any of those materials include Internet-based activities or resources? Are there new initiatives that could impact the network, such as coding classes or an increase in the use of online gaming or simulations? Try to get as complete a picture of the kinds of instructional activities teachers throughout the district are using or thinking about using. Will your schools be participating in online assessments? If so, will they be only at the end of the year, or are there interim formative or benchmark assessments planned at regular intervals? Will you be able to conduct online assessments for certain groups of students and still ensure that teachers and other students have the necessary access for normal classroom activities? 3) Create a plan with a clear budget. If you have a good idea of your network’s current capacity and usage on a school-by-school basis, you are in a good position to to plan for what you might need and understand how those needs can be addressed — at least partially —by the new E-rate. Having a good understanding of how teachers and students might be using the network over the next few years is a key step in creating a plan and applying for E-rate funds. Here is an example of how the internal connectivity could work, according to the FCC summary of the order: If a school district of 1,000 students is at the 80 percent discount level, it can count on $120 per student (80% of the allotted $150) or $120,000 in E-rate funding for internal connections over a five-year period. If the district only wants to receive $20,000 in support one year, it has four more years to request the additional $100,000. If you used to receive E-rate support for voice, paging, e-mail or other services that the FCC is phasing out support for, be sure to figure that into your plan and budget. 4) Don’t forget Internet access. With all the focus on increasing internal connections, districts still need basic Internet access, and Internet access remains the highest priority for E-rate. 5) Make your voice heard. The FCC included a Further Notice of Proposed Rule-Making as a part of the order. The FNPRM is only 12 pages, based on which the FCC is asking for input on a variety of topics, including meeting future funding needs, ensuring that multi-year contracts are efficient, standardizing the collection of National School Lunch Program data, encouraging consortium participation and ensuring support for libraries is sufficient. Districts especially need to speak up about their future funding needs. 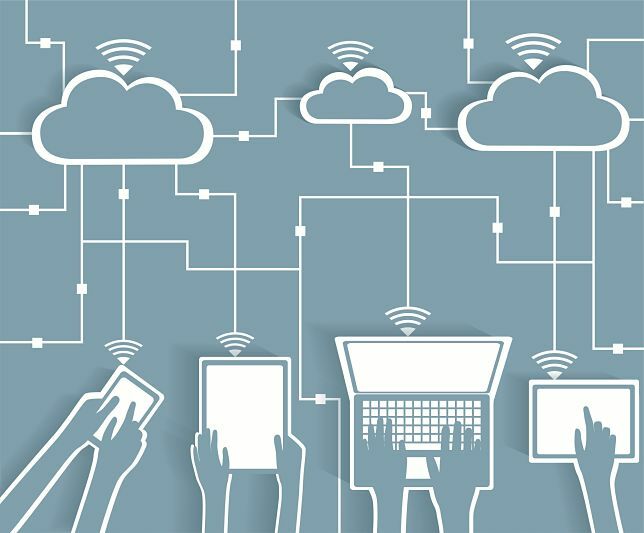 The FCC is looking for data on the gap between schools’ current connectivity and the specific connectivity targets that the FCC adopted in the order. Those targets coincide with the State Education Technology Directors Association’s recommendation for Internet access for schools: at least 100 Mbps per 1,000 students and staff in the short term and 1 Gbps Internet access per 1,000 users in the longer term. The FCC wants to know how much funding districts need to bridge the gaps between current levels and the targets. They acknowledge that inflation has eaten into the real purchasing power of E-rate funds by $800 million to $900 million since the program began in 1996. Now is the time to let the FCC know how that reduced purchasing power has affected your district. While the E-rate may not be the sexiest topic, it is by far the greatest governmental support for technology in education. It has saved school districts billions of dollars and, with its recent modernization, will bring the power of the Internet closer still to students. Look for further information from your state E-rate coordinator in September or October, and take the time to respond to the FNPRM. The FCC is listening.